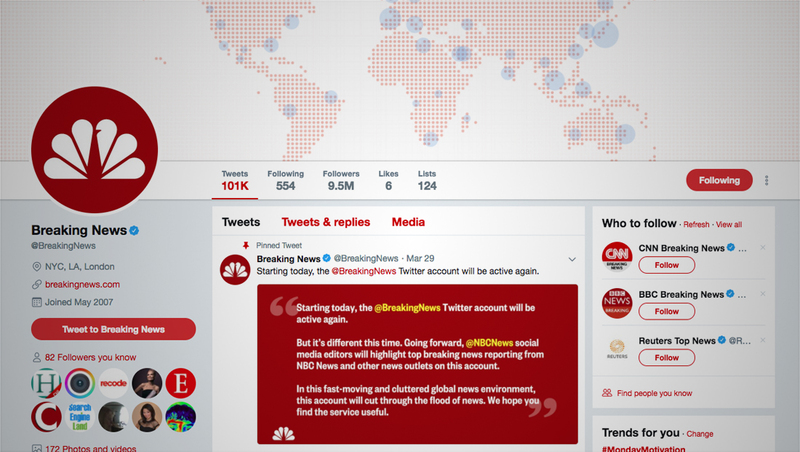 After announcing the return of its @BreakingNews Twitter handle, NBC News has begun leveraging the account to post limited breaking news stories from a variety of sources and using a mix of approaches. 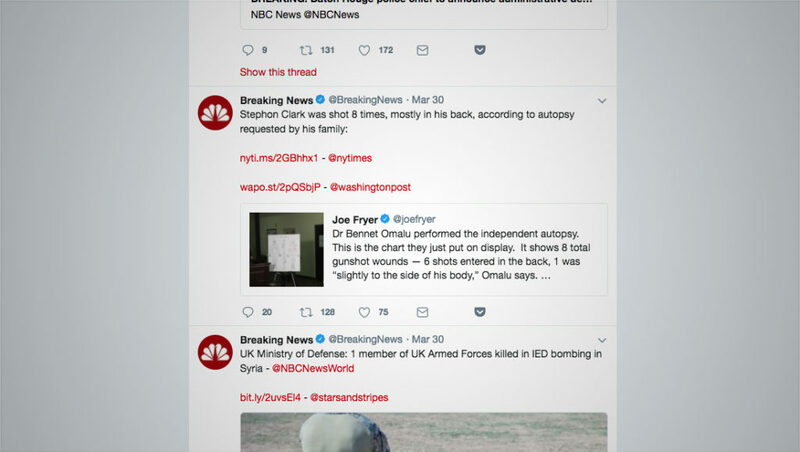 In some cases, the account simply “quotes” a news outlets’ tweet with an added comment — and, in some cases, links to news stories. This approach has also been used with a tweet from NBC correspondent Joe Fryer. Another approach is to post a brief headline of a story along with a small handful of links to stories from different sources, with a short link and source news organization tagged on separate, double spaced lines. 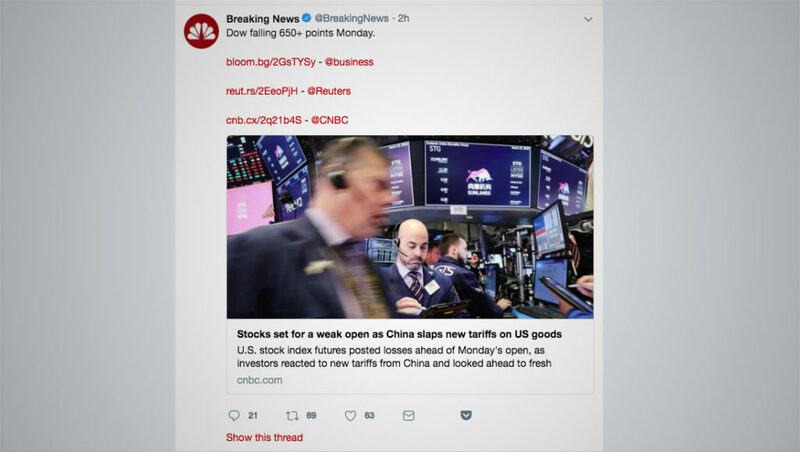 So far, the account appears to be slightly favoring NBC-owned properties, including CNBC and category specific Twitter accounts, though it has also linked to Fox News, The Wall Street Journal and Bloomberg, among other outlets. The account also appears to be honoring its stated goal of limiting its posts to cover only major breaking news stories — since the account’s reactivated was announced Thursday, March 29, there’s only been about a dozen tweets posted as of midday Monday, April 2, 2018.